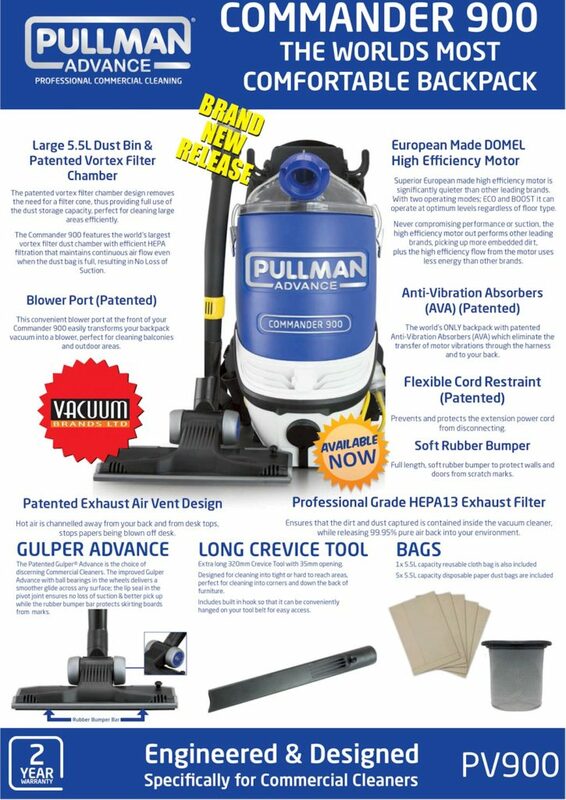 Pullman Advance Commander 900 is specifically designed for Commercial Cleaners. 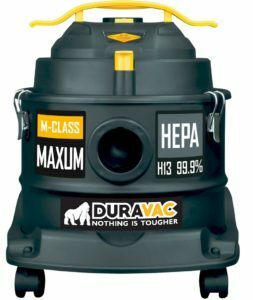 It has been equipped with professional grade HEPA13 Exhaust filter, European made Domel High Efficiency motor, Large 5.5L Dust Bin a/nd Patented Vortex Filter Chamber. 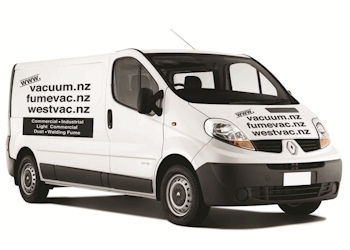 The patented vortex filter chamber design removes the need for a filter cone, thus providing full use of the dust storage capacity, perfect for cleaning large areas efficiently. The Pullman Advance Commander 900 features the world’s largest vortex filter dust chamber with efficient HEPA filtration that maintains continuous air flow even when the dust bag is full, resulting in No loss of suction. The motor is claimed to be quiet but no decibel ratings are given to compare With duo operation modes: ECO and BOOST it can operate at optimum levels regardless of floor type. This is the world’s only backpack with patented Anti- Vibration Absorbers (AVA), which eliminate the transfer of motor vibrations through the harness and to your back.